Hello, Rock N’ Seoulers. (Do you like the name? I think it’s cute!) 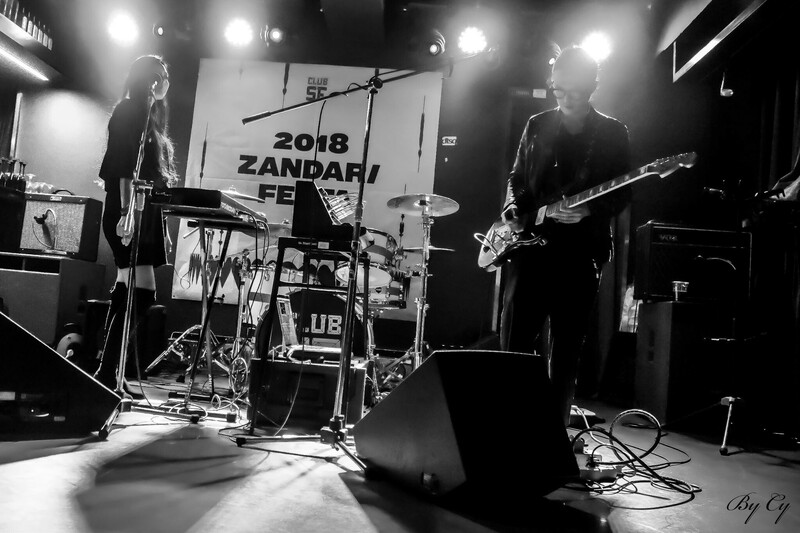 This year I had the honor of attending Zandari Festa for the first time. Needless to say it was one of the most rewarding experiences of my life as a writer and lover of Korean music. 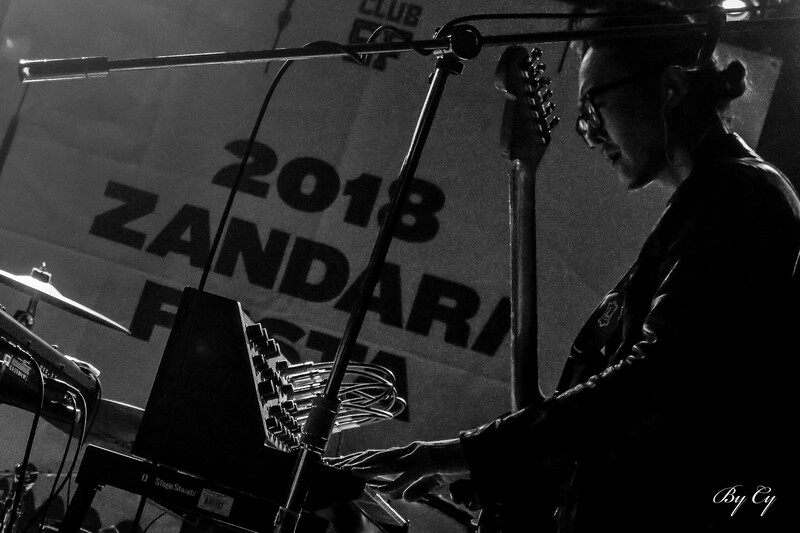 For those who haven’t followed our coverage of the festival over the years, it’s essentially South Korea’s answer to South By Southwest. The exception is this young festival is exclusively for indie bands and artists with a particular concentration on rock music (and all the genres that fall under that, including punk, ska, death metal, etc.). 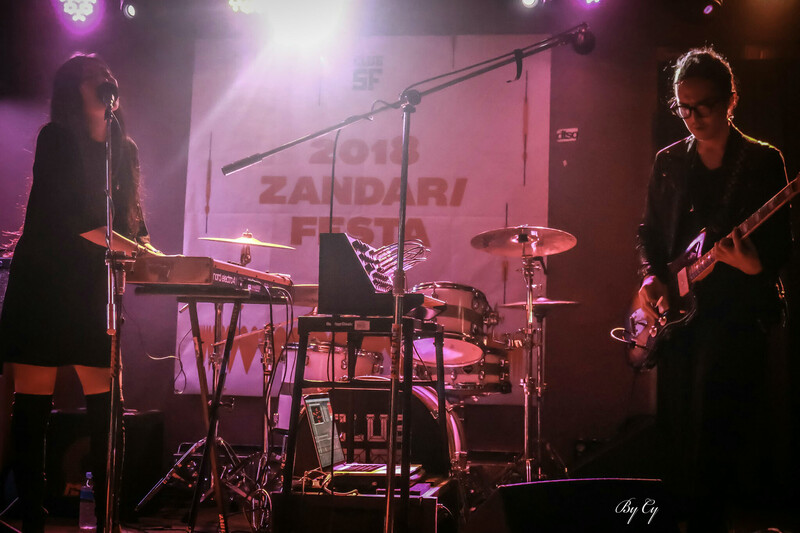 For my very first live Zandari experience, I headed over to Club Steel Face (a literal hole in the wall sandwiched between two large buildings. Damn near hidden if you don’t know what you’re looking for). I made my way to the fifth floor, cramped inside an elevator with other foreign fans of the electronica duo of main guitarist and songwriter HEO and angelic vocal queen Kim Bo-yeong. I made it to the actual stage just moments before they began their set. The venue is as small as its exterior suggests. Few seats and a bar area almost as big as the actual stage itself. The level of intimacy could be quite intimidating. But the chance to get this close, to really breathe in the essence of who they are was truly a blessing. In this close a space, the music is almost overwhelming. This is the way electronica is supposed to be experienced: tight, close, as if the sounds themselves are a part of you, a part of every inhale and exhale. HEO is as electrifying as you’d think. But they’re painfully humble in the sparks they make. Bo-yeong is so soft-spoken you almost have to lean in to hear her. They take making the music speak for itself quite literally. And let the music speak they did. It’s clear their brand of electronica is too large to be contained on disc or even the digital confines of Spotify or iTunes. Their music is a living thing. It needs room to breathe. HEO is a man so totally invested in his music, the way it spills from the speakers is as deep and moving as the first time you ever listen to it. Bo-yeong stands still, allowing the full weight of her voice to spread and envelope her audience. She doesn’t need a lot of affectation to sell the song. All she does is smother you with its divinity. No moment is wasted. Every movement has purpose. As such, there really isn’t much in the way of “performance,” in the traditional sense. Neither is interested in ostentation. Both HEO and Bo-yeong want you to feel what they feel. Despite an understated performance, they created magic with their sound. Anyone who couldn’t see that because of a less than raucous set (emotional electronica can seem a bit out of place in a festival that is by and large about the piss and vinegar of punk) missed the entire point of what HEO is about: the music. 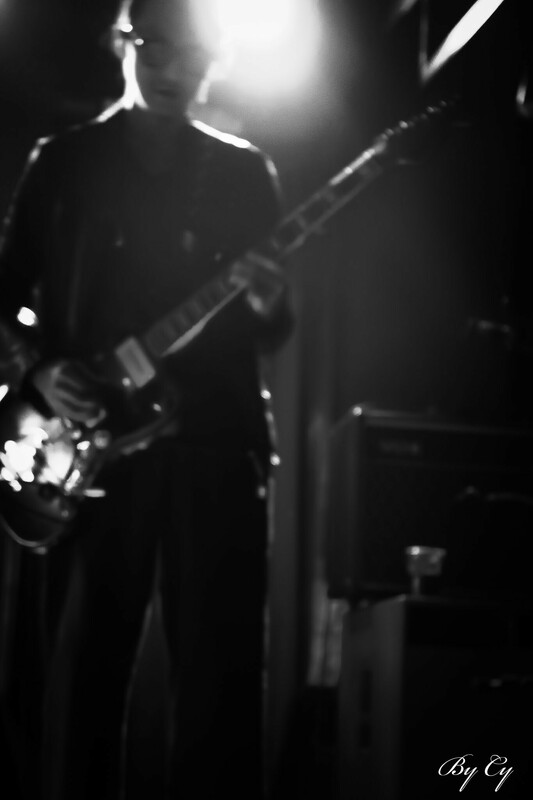 One must see HEO live to grasp the scope of their sound. It’s full in a way that leaves one breathless. Each steel-rimmed strum of HEO’s guitar, every pulsating kick of the drum, the pounding of Bo-yeong’s piano. It’s as solid as a punch to the chest. Combined with her voice, the essence of it floating like a wood nymph’s whisper on the breeze, there’s something unbelievably poignant about their sound when unleashed on a live space. It really was a moving experience. All one had to do was stay still long enough to feel it.